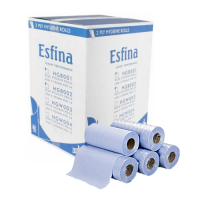 A range of hygiene rolls used for disposable covers on consulting couches and also as convenient wiper rolls. 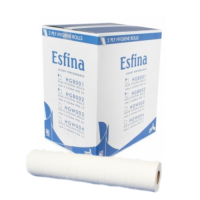 Typically used by Medical Centres, Hospitals, Sports Clinics and other professionals. 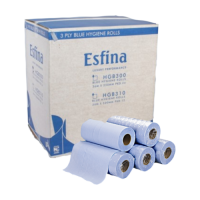 A box of 24 250mm wide blue 2-Ply hygiene rolls that can be used as ei..
A premium quality 500mm wide, white 2-Ply hygiene roll for use on couc..
A box of 250mm wide, 3-Ply, blue hygiene rolls that can be used as eit..